GMass now has a System Status page at https://www.gmass.co/systemstatus. Screenshot of our new System Status page. 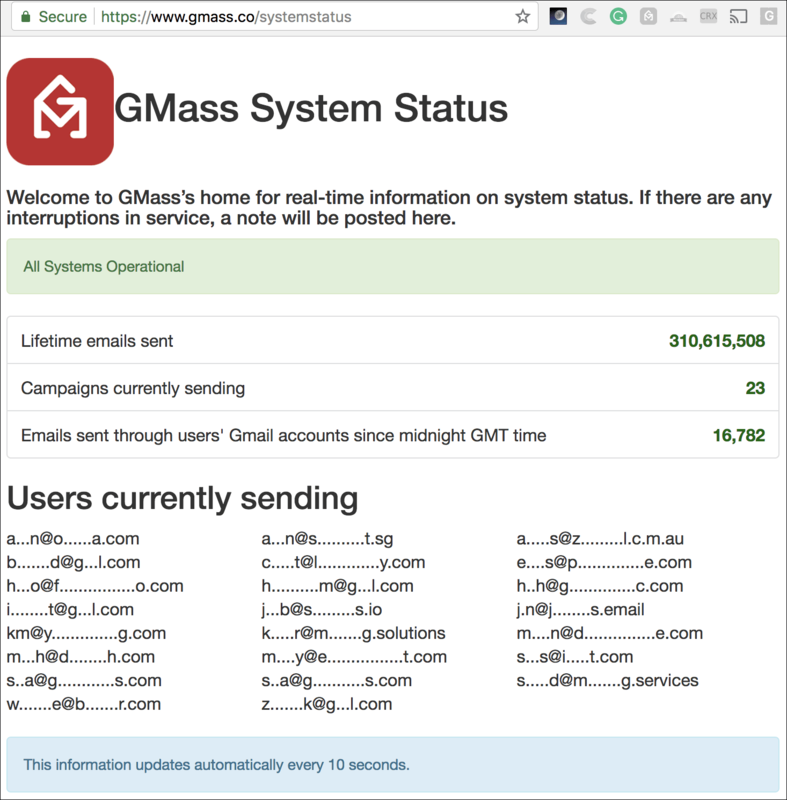 The System Status page shows a bunch of interesting statistics and data, including the total number of emails GMass has sent lifetime, which is currently around 310 million. Whoa! 310 million emails all sent from users’ Gmail accounts! Additionally, we show you how many campaigns are currently sending and a list of users who are “active senders”. We of course obfuscate the email address of the user so that you can identify yourself but nobody else can. Over time we’ll expand this page to include more system statistics, charts, and useful data.